Just how high was the Big Thompson Flood? And how often will a flood like that occur? Recently, the family and I were taking in an afternoon in Boulder, CO. After taking in a lunch at the lovely Dushanbe Tea Room we took a stroll along Boulder Creek. Right by a retaining wall stands this object. The thing that makes flood levels so interesting mathematically is that in addition to height, they’re measured in probabilistic time. That is, every 100 years we can expect one flood to reach as high as the demarcation of the “100 Year Level”. Every 500 years we can expect one flood to reach as high as the “500 Year Level” and so on. So… what does that suggest for the marker near the tippy top of this monument, marking the height of the Big Thompson flood of 1976? Provide the following (enhanced) picture. Follow up with your favorite problem kicking off protocol. I’d suggest either a Notice/Wonder or a Know/Need-to-Know. How high did the water level get during the Big Thompson flood? How often does an event like that happen? 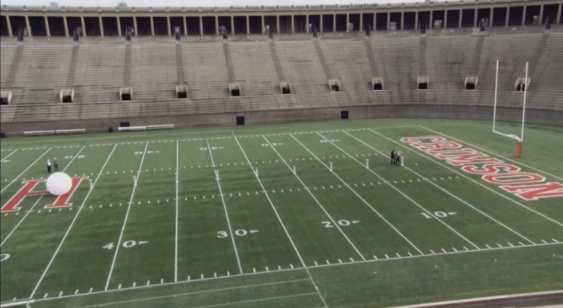 How high are these markers off the ground? 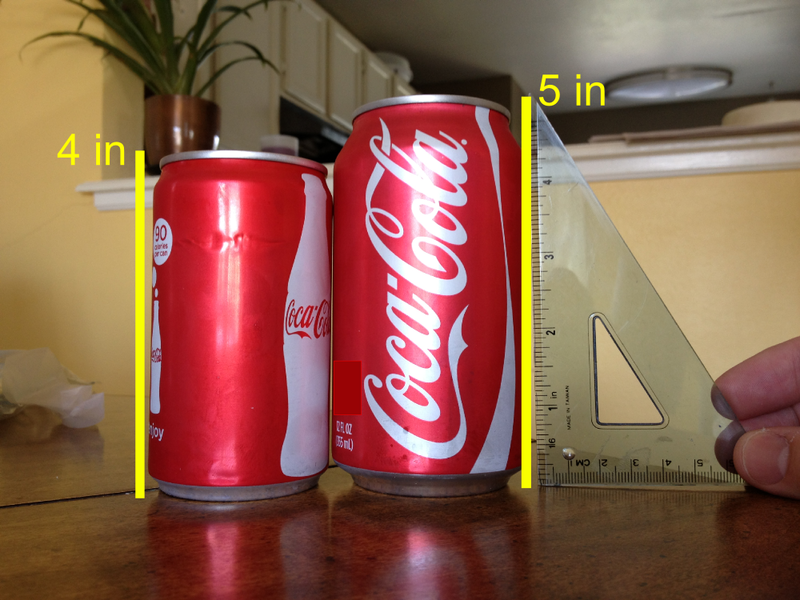 For this last one, you’ll probably need some sort of base level unit to measure the heights, for perspective’s sake. Allow me to provide one additional picture. If the sun is an 8 foot diameter balloon, what is Pluto? The following clips are cribbed from Nova: The Pluto Files in which Neil deGrasse Tyson sets up a model of the heavenly bodies of our solar system, comparing their sizes relative to the sun and each other. Not all of the clips were able to be chopped to give the appropriate bleep sound. So we just have a few. More on that in a moment. Side note: for the record, if you want to see a kid from the age of 4 to 14 get animated about something, tell them that Pluto isn’t a planet and/or let them watch this episode of Nova. They’ll go berserk. Neil’s right: people are crazy when it comes to Pluto’s planetary status. Anyway, on to the entry events. I’m not sure you need all three or four of these for kiddos to get the point. And I’d get some predictions on the board before having students explore this on their own or make and calculations. Reveal just the Mercury solution. Show some of the calculations involved. You can find all the heavenly body sizes from our solar system here or here. Let students make some predictions and do some research on the actual sizes of the heavenly bodies. More predictions on the board. The big reveal. For the solutions, you can just watch the clip straight from the home site linked above. Here’s a potential accompanying worksheet. Neil says that we can’t properly represent the distance of the planets from the sun on this scale of a field. So my question is, how could we represent a scale model of the planetary orbits and distances from the sun? Here we have Mercury five yards away from the sun. If Mercury is 5 yards away, how far away would Pluto be then? I must have cylinders on the brain. Maybe because they’re actually one of the few traditional geometric shapes that we actually interact with on a regular basis? Maybe it’s because they’re readily measured? 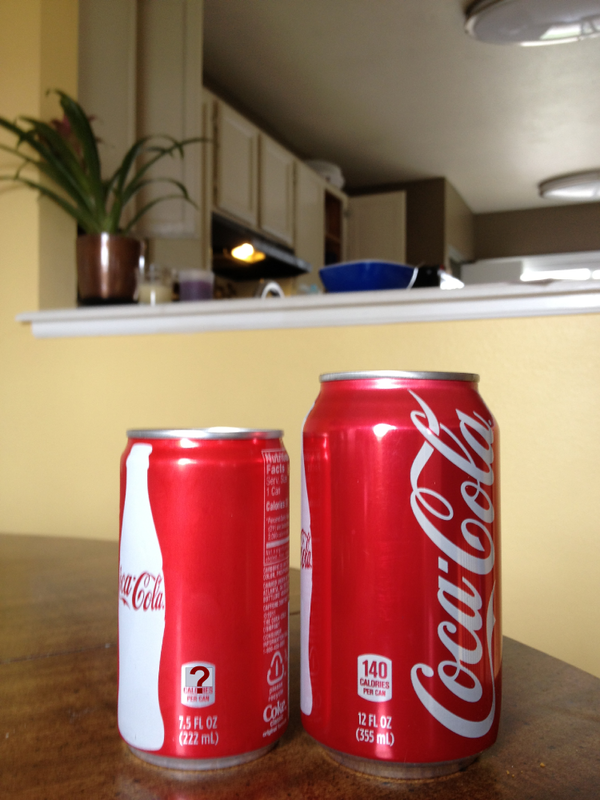 Anyway, here have a Coke can and one of those mini-Coke cans. Though it’s dependent on you exactly what information you’d like to black out. 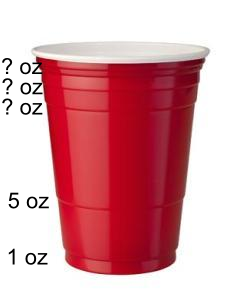 You could black out one of the calorie counts and compare it to the fluid ounces. 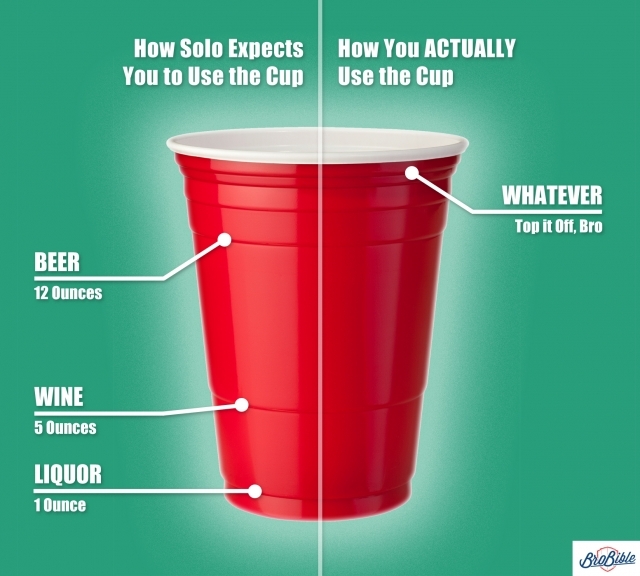 You could black out one of the fluid ounces counts and compare it to the calorie counts. 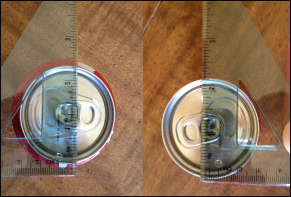 You could eliminate the fluid ounces and one of the calorie counts to get at a really nice volume comparison (though, you’ll need additional dimensions – that’s good! Ask the kiddos what other dimensions you’ll need to procure?). While you’ll need other dimensions, I would actually withhold the dimensions of the base at the beginning. Why? Because students of all ages have a real tough time with scale factor and volume. Like, REAL tough. As in, I tell them straight up “when you increase the dimensions by a factor, the volume increases by that factor cubed” and then they totally forget that by the time I’m done saying it out loud. So let students solve it using a simple proportion. “WHAAAAAA??!?!??!! Math is wrong! 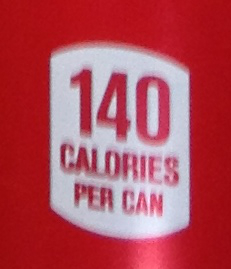 You lied to us!” Or maybe they’ll claim corporate conspiracies to get us all fat. Either way: win-win. This is the part when you swoop in with some additional dimensions to save the day. Find the volume relations of the two cylinders, the calorie counts, and you’re home free. I like having calorie counts as the final measuring stick for this task instead of volume. 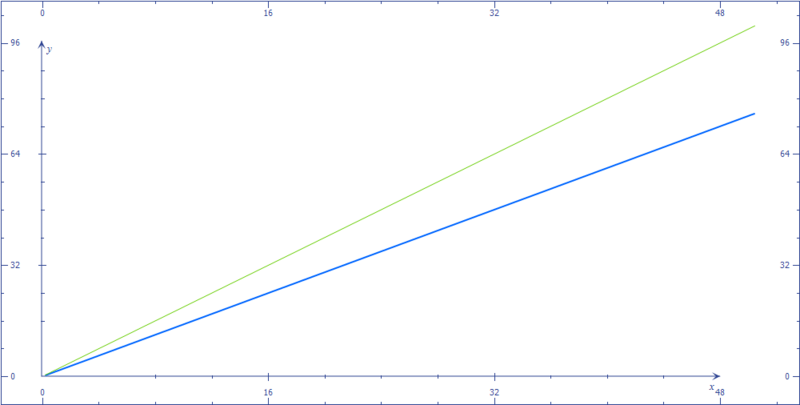 Like I said, scale factor and volume (and area) were something my students would consistently get wrong. I think it’s indicative of the problem with front-loading instruction. Students don’t need to think deeply about the content because I’ve showed them how to do it in the “Scale Factor Unit” when it’s applicable, of course. Then, three months later, when we’re not in that unit any more, it’s out the window. I’d suggest you read Frank’s post and watch the embedded Veritasium (@veritasium) video for more on allowing students to swim in their misconceptions a bit to enhance learning in the end. 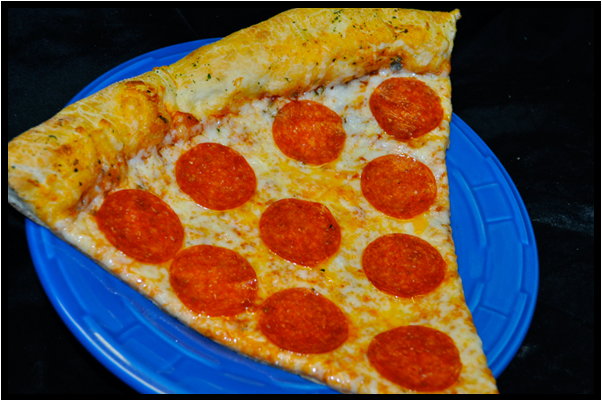 This is a picture of a single slice of pizza from my favorite pizza place in Fort Collins, Pizza Casbah. My god that looks amazing. I’m getting hungry just looking at it. It seriously is amazing pizza. And I can eat a lot of it. 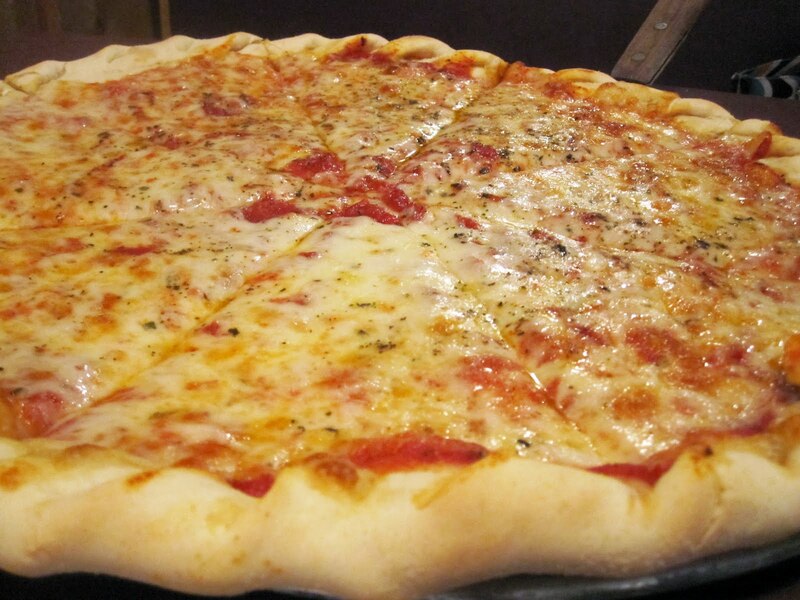 Now, I don’t mean to brag too much, but I really think I can eat anyone under the table when it comes to Pizza Casbah. I’ve never really gone head-to-head, or truly pushed my limits, but I’m fairly confident I can eat an entire 18-inch, 5-topping pizza by myself. I really want my picture up on their wall-of-fame. I also really want a gift card for more Pizza Casbah. There’s about a hundred different ways you could use the following artifacts to construct a lesson around Pythagorean’s Theorem. So I’ll just toss out all the artifacts and let you, esteemed teacher, take it from there. I’d love to get feedback and suggestions on how to implement these materials in the comments below. Use any combination of the following. 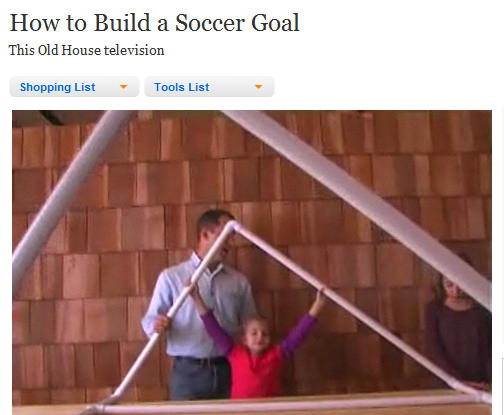 This video from This Old House in which two small girls assist with the construction of a pint-sized soccer net: How to Build a Soccer Goal | Video | Family Projects | This Old House.